Pond liner joining adhesives, waterproof sealants and puncture repair products. For joining rubber pond liners and bonding pond liners to other surfaces. Specialist adhesives for joining and repairing PVC, GreenSeal, Butyl and Firestone Pond Liners. Water Garden also offer a Liner Repair Kit for solving small leaks in pond liner of various materials. 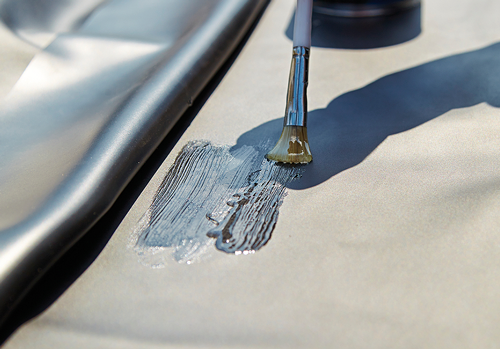 Cleaning Solvents should be used to prepare and de-grease the liner surface, ready for joining or repairs. The OASE Tradux will allow you to pass flexible hoses or electrical cables through a flexible liner, helping to disguise these connections from view.